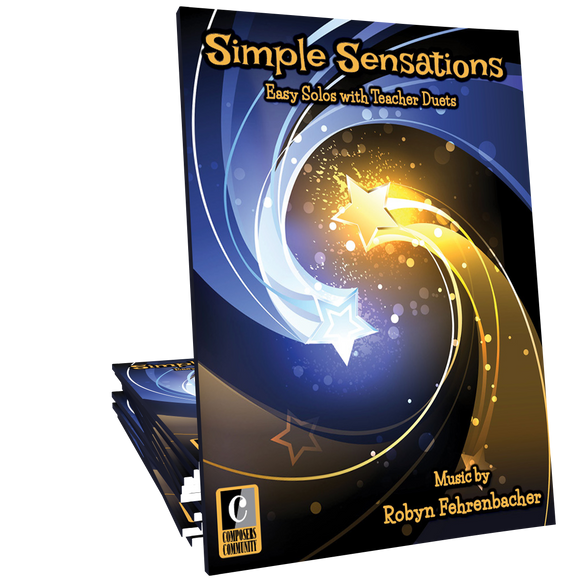 Simple Sensations is a must-have collection of thirteen easy showcase solos composed by Robyn Fehrenbacher for beginners of all ages. 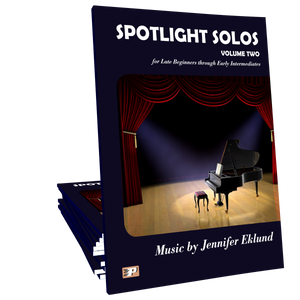 While each piece stands alone, this book also includes contemporary, lush teacher duet parts to maximize the fun! I love this songbook! It is full many styles and types of pieces that are great for recitals! This book is excellent! My students love it, and I have a father and daughter working on a duet from it! Robyn certainly understands children because this book is tops! A beautiful collection that students will love to play! The duets add a lot to make these pieces sound full. This is really a great collection for elementary level students. 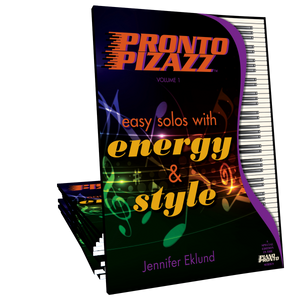 Works great as a solo book with a Prelude and Movement one. The duets are beautiful with lush harmonies, and yet an older sibling or parent could play with the student. Unique, motivating solos that my beginning students are enjoying and choosing as recital pieces! Wow!! Full of beautiful, contemporary and engaging pieces that your students will really enjoy! I can't wait to add this book to my studio!